Could Alexander Technique lessons help him do a better job? Can the Alexander Technique make a thief a better thief? It seems logical that it could. Alexander Technique lessons have helped musicians play better. It’s helped office workers sit at desks and use their computer with less harmful tension. it’s helped actors take on roles requiring bizarre postural affectations without harming themselves. A British Medical Journal study shows it can help all sorts of people work and play without suffering the kind of debilitating back pain that puts their career in jeopardy. So is there any reason why a pickpocket, who needs all the dexterity he can muster, would not become more effective at his craft? Or a second-story man, for whom balance and coordination are required to avoid falls from a window ledge that would cut his career short? And yet Alexander Technique teachers are often uncomfortable with a question like this. The idea of the Technique facilitating evil acts is not one we like to contemplate. In his first book, Man’s Supreme Inheritance, Alexander devotes several pages to the question of thieves, their mental state, and his insights on thieves’ state of mind. Most of what he said can be found in Chapter Five, “Applied Conscious Control”. 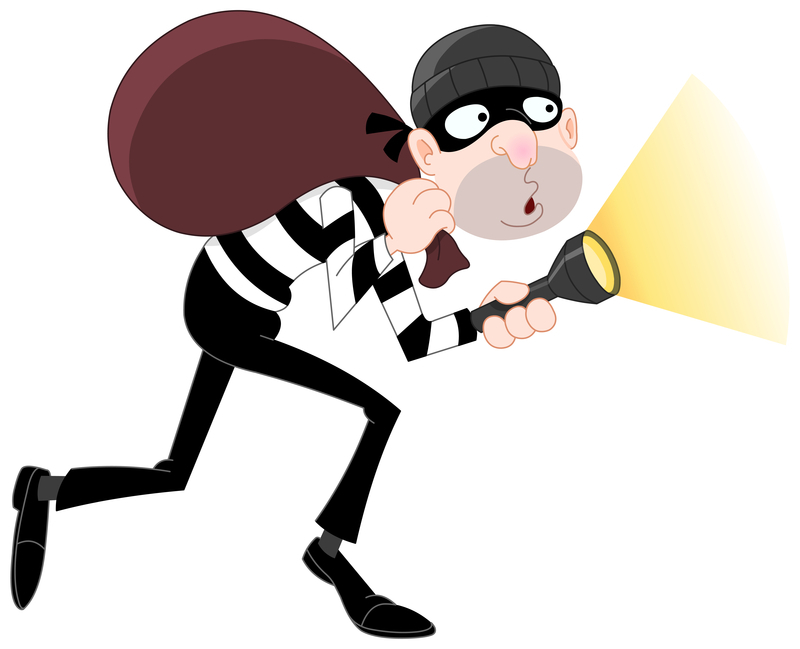 First, lots of people who are not called thieves are, in fact, engaging in more subtle forms of thievery, for example misleading others in business arrangements. Indeed professional thieves, in Alexander’s view, may in some ways hold to a higher standard of behavior – as the expression “honor among thieves” suggests. Indeed, Alexander says, this period of re-adjustment “…may bring about such disorganization as may cause a serious crisis. During an experience of this kind, the person would for a period be in greater danger than ever”. When an evil spirit goes out of a person, it travels over dry country looking for a place to rest. If it can’t find one, it says to itself, ‘I will go back to my house’. So it goes back and finds the house clean and tidy. Then it goes out and brings seven other spirits even worse than itself, and they come and live there. So when it is all over, that person is in a worse state than he was at the beginning. What’s needed, in Alexander’s view, is an understanding of the nature of habit, and the necessity of helping the thief shift himself away from his dependence on what Alexander calls “subconscious guidance and control” towards “conscious guidance and control”. So, to get back to my original question, “Can the Alexander Technique make a thief a better thief?” the answer still might be “Yes”. But might also be “Yes, although it could also increase the possibility that he will someday be motivated and able to switch to a more desirable profession”. *Alexander’s interest in thieves could well be related to his early life in Tasmania, a dumping ground for British convicts during the 19th Century. Many were sent there for crimes of theft, including both his grandmothers and one of his grandfathers. I’d love to hear you thoughts on all of this – not just as it relates to thieves, but to criminals, and to addicts of all sorts. This post is now making me wonder if the Alexander Technique can help people addicted to the Alexander Technique? Nice! Hopefully it deepens their addiction. thanks for your interesting post(s)! I was reading chapter V lately and I have to admit I wasn’t too impressed by it. Alexander talks about a truly interesting subject, but in my opinion he clearly misses the difference between addiction and habit. (Of course it’s easy for me to say that with 100 years of research between me and him :-)). But still: The “drug habit” (p.41) is NOT just a normal habit (like the famous sitting down). There are more serious factors involved than just (and we all know that “just” that is difficult enough to change) the familiar neuronal path. In most cases you can’t fight an addiction with “reasoning powers” (p.42). Hi Tony – thanks for you comments. I agree the addictions part of the chapter are a problematic, which is one reason I didn’t spend much time on that. But I do think working on a “physical” level can be helpful with addictions, although I’m certainly no expert. Thanks, Robert. Good point! Sort of a proof that AT really is scientific — it’s neutral about its applications. I also wonder about a more insidious example in the form of moral hazard: Someone with good use will be less easily rattled in a noisy chaotic environment and so less likely to do anything to change it! Nice Dave – The Technique promotes (indirectly, of course) irresponsibility! On the constructive side, I do see at least three similarities between AT and the 12-step approach to addiction. In both cases, the change in habit is not directly willed. I had not thought of that Dave. Thanks!